Compare prices on car hire in Pertuis from all the major brands and find the best deals. When you book through us, unlimited mileage and insurance are always included in the price given. Pertuis is a city in southern France , 20 km north of Aix-en-Provence.The city is located in the Provence-Alpes-Côtes-d’Azur region, and is the capital of Vaucleuse Ministry. Stay around. 19,000 residents. 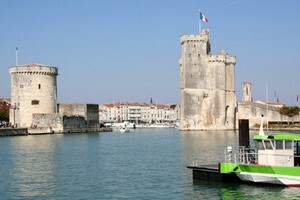 Pertuis has been in existence since 981, while in the 1200s, it built a castle here. Pertuis is a small town with good shopping and a traditional center with narrow streets and many fountains from the 1600-1900’s. The town has remains from the Middle Ages: a bell tower from the 1300s, parts of a 1400-century fort and the remains of a 1,600-century castle. There are tourist information. Visitors can, among other things cycling, swimming or hiking in the Durance valley. Pertuis is market day on Friday, and at the beginning of June the city hosts flower parade, Corso Fleuri. In March, seven abreast per provenco, a Provencal feast. Pertuis is a good base for day trips to Avignon, Marseille and Aix-en-Provence. Pertuis located in the Rhone valley and Côtes de Luberon wines. Marseille-Provence airport is approx. 38 km south of Pertuis.